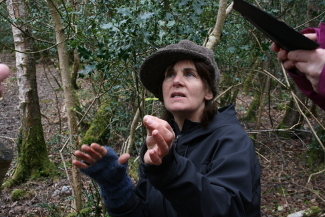 1 Day Workshop with Wild Food Mary at her home in County Offaly near the town of BIrr. Please arrive 9:45. Read a full description of Foraging Workshops here. You can order multiple places in the checkout page (next screen). Something to put your foraged food into is a must…like a bag or basket. Sturdy footwear, preferably waterproof and suitable clothing for rambling about the grounds and woods. Additional warm and wet weather clothing is highly recommended. House shoes or slippers for when we retire to the house. Notebook, camera & water bottle.